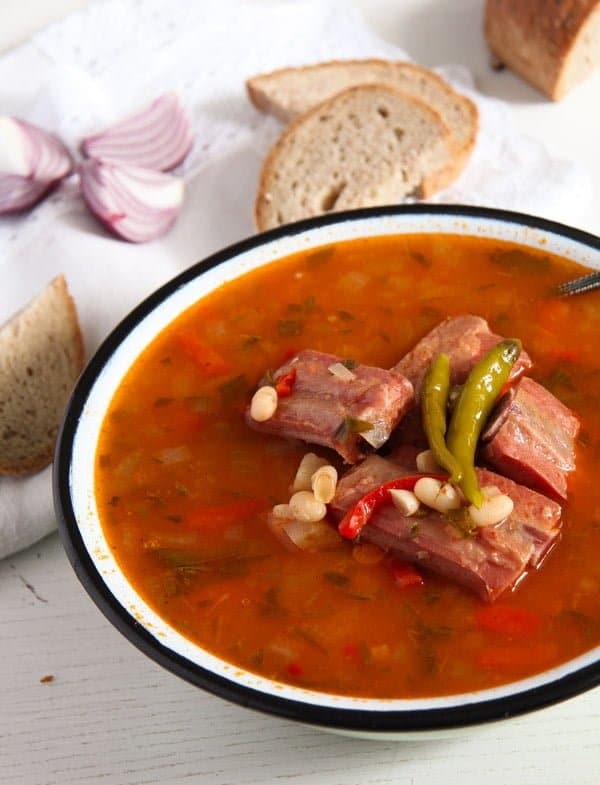 One of my favorite soups: Romanian white bean soup with tender spare ribs pieces, vegetables and tarragon. Except the Romanian Chicken Semolina Dumpling Soup, this White Bean Soup with Smoked Spare Ribs and Tarragon (Ciorba de fasole boabe cu costita) was the soup that my grandmother used to cook the most when I was a child. These two were my favorite soups after all, they were cheap and filling, not to mention healthy and nourishing. 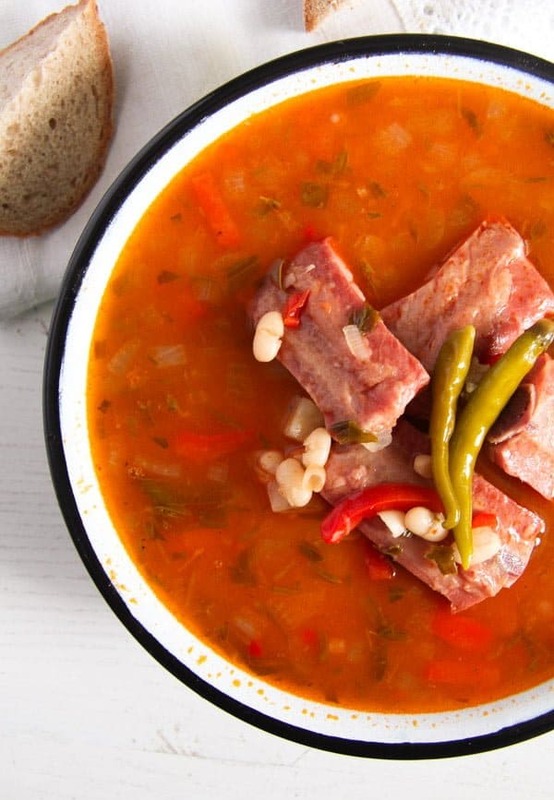 I make the White Bean Soup with Smoked Spare Ribs and Tarragon quite often nowadays for my family, not as often as my grandmother used to make it, but often enough, at least as often as I can without annoying my kids completely. 🙂 They are not as much into beans as I used to be as a child, so I don’t want to overwhelm them. 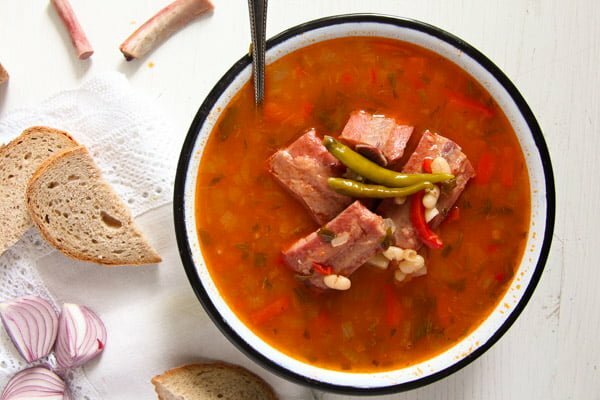 But when I do make this soup, it is a total delight for my husband and I, especially when I throw some smoked spare ribs into it. 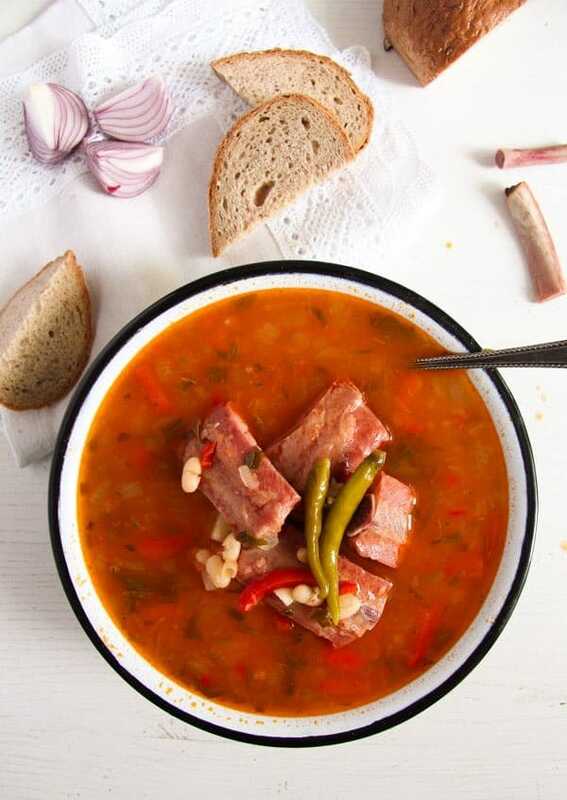 I use the typical vegetables used in most Romanian soups to make this White Bean Soup with Smoked Spare Ribs and Tarragon, those being onions, carrots, celeriac, parsley root and red bell pepper. In case you cannot find parsley roots (they are not always available), you can replace them with an additional celeriac piece. When it comes to herbs you can either spice the soup with fresh lovage or fresh celery leaves and fresh parsley OR with tarragon. If you use tarragon leave the rest be. Tarragon has its own very distinct flavor and when you use it for this soup, you don’t need any other herbs. Or at least that is what my grandmother used to say. I almost always use pickled tarragon leaves for the White Bean Soup with Smoked Spare Ribs and Tarragon. I have a huge tarragon bush in my garden, which I’ve planted for the sole purpose of pickling the leaves and putting them into soups, I don’t use tarragon much otherwise. The pickling of tarragon is a very quick, cheap and easy thing to do, so if you happen to have tarragon in your garden as well, you should definitely give it a try, I am pretty sure you will like the flavor it gives to soups. To pickle the tarragon, pick the leaves from the stalks, stuff them in small jars and cover them completely with vinegar. They will keep in the cellar or a colder place for at least one year. Once you’ve opened a jar, keep it in the fridge. 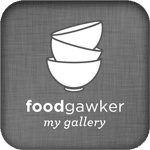 If you don’t have pickled tarragon, you can replace it either with the herb combination mentioned above or with some fresh tarragon and 2-3 tablespoons vinegar to sour the soup. Rinse the dry white beans, place them in a large bowl and cover them with water. Leave to soak overnight. Drain the beans and give them to a pot together with the smoked spare ribs, which you have cut into smaller pieces. Cover with water, about 2 ½ liter/ 10 ½ cups and bring to a boil. Turn the heat down and simmer for about one hour or until the beans are almost done. Prolong the cooking time if the beans are not almost soft, it really depends on the size and age of the beans. In the meantime, chop all the vegetables. Give them to the pot and continue cooking for another half an hour or until the beans and the veggies are soft. Add the vegetable stock powder to taste and dissolve well. Heat the oil in a small pot. Add the flour and stir well for one minute. Add the tomato paste and stir well. Take a soup ladle full with hot soup from the pot, trying to avoid the beans and vegetables and slowly pour it over the flour mixture while whisking all the time. When the liquid is incorporated and the mixture has no clumps, add another one or two soup ladles, while whisking all the time. When the mixture is pourable, slowly give it to the soup while whisking all the time to avoid getting clumps in the soup. Simmer the soup for about another 5 minutes. In the meantime chop the herbs you are intending to use. If using fresh lovage/celery leaves and parsley, chop them and give them to the soup when you are done cooking. Add 2 or 3 tablespoons vinegar to sour the soup to taste and add salt and pepper. If you are using pickled tarragon, chop it finely and give it to the soup together with 2 or 3 tablespoons of the pickling vinegar, to taste. Adjust the taste with salt and pepper. If using fresh tarragon, chop it finely and give it to the soup together with 2 or 3 tablespoons vinegar, to taste. Adjust the taste with salt and pepper. Serve with bread, red onions and pickled hot peppers. My grandmother always used Vegeta, I use an organic brand of vegetable stock powder. 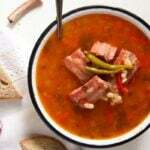 I love soups during winter and this one is definitely a winner!